Tipping Your Amtrak Car Attendant. I’m asked a lot of questions about train travel. 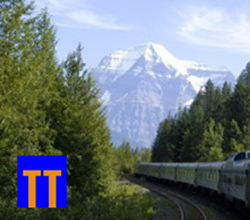 Among the most common ones, even among people who have taken long-distance train trips, is “How much should I tip the sleeping car car attendant?” I’ve written about this previously, but it sure seems to bear repeating. As a basic rule of thumb, and assuming courteous, friendly service throughout the trip, I suggest tipping the car attendant no less than $5.00 per passenger per night. In other words, for two people on a two-night trip, whether in a roomette or a bedroom, an appropriate tip would be $20. If you ask for and get additional service from your car attendant—have meals brought to your accommodations, for example—increase the tip accordingly. Probably five bucks each time. But there are a few specific things I look for . . . some not-so-little extras I consider to be the mark of a really good car attendant and for which I add an extra five or ten bucks to the basic tip at the end of my journey. First, does the car attendant make a point of telling you where he will be during the night? This is information every passenger should know. What if there’s some kind of emergency or if you should become ill sometime in the wee hours? Second, does your car attendant let you know when he or she is about to leave the car to take a meal break? This isn’t a big deal, but it is a courtesy that tells you that you’ve got a conscientious car attendant. And, third, I take particular note during the journey to see if the car attendant asks passengers about to leave the train if they need any help with their bags. This, in my opinion, IS a big deal, because if you’re traveling on the upper level of a Superliner, getting a couple of bags down the curved narrow stairway to the lower level, can be difficult, especially for those of us getting to be long in the tooth. Taking all this into consideration, it’s customary to tip the car attendant when you leave the train at your final destination. Bottom line: Like it or not, tipping is the custom in this country, so do it unless your car attendant is a real goof off. Done right, it’s a tough job: long hours and little sleep for five or six days in a row. Besides, the IRS assumes they’re receiving tips and they are taxed accordingly. 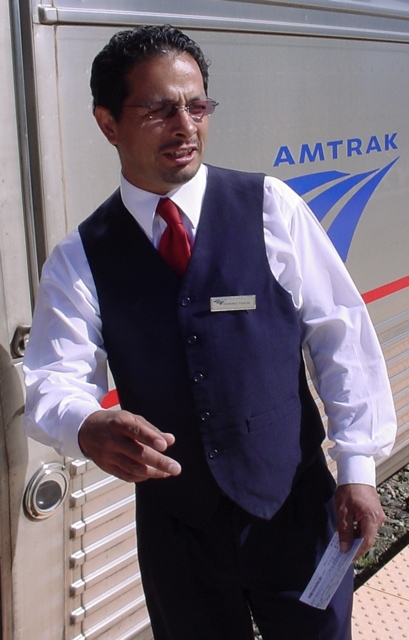 Next: Tipping the dining car crew. Previous Le Transportation On Le Cheap. NextHit The Beaches in Hawaii … Carefully.